The bar in the Old Town was surprisingly quiet. We sat outside with bottles of Utenos Porteris, a very dark Lithuanian beer. The barmaid asked what we thought of the stuff and we agreed that it was a very pleasant drop of porter, but rather strong. She picked up the bottle and looked for the strength, then shook her head. “No, this is not so strong for Lithuania” she announced. The beer was 6.8% ABV. Like their neighbours in Poland, Lithuanians like their beer strong. A bit of hunting around and you’ll be able to find something a little less vigorous, though a 4.4% beer will probably be advertised as ‘low alcohol’. In UK terms, this is the strength of a fairly robust best bitter. Another factor is the cheapness of beer in the country. Bars are cheap and bottles from shops cost mere pennies. Care needs to be taken. If you do get a bit wobbly of an evening, it shouldn’t mean getting lost, at least in the Old Town. The centre is not vast and orientation does not take long. It is also a glorious mishmash of architectural styles that shouldn’t fit together, but do. The place for a great view of the city is the top of the Castle complex. There are two castles and it is the upper one, on Gediminas Hill, that is the city’s highest point. An observation platform at the top of the Gediminas Tower provides a splendid panorama. The whole complex is crammed with museums and is well worth a full morning or afternoon to explore. Below Gediminas Tower is the cathedral, a gloriously neo-classical affair. It’s difficult to go very far in Vilnius without bumping into Gediminas in some form. He was a 14th Grand Duke of Lithuania who is regarded as both the founder of the Lithuanian state and the city of Vilnius. Gediminas Square is at the heart of the Old Town. Churches in particular provide an example of the architectural contrasts of the city, with the resolutely Gothic St Anne’s church, the neo-classical cathedral and the beautiful Baroque St Peter and St Paul’s vying for attention. St. Michael and St. Constantine is a wonderful example of the Orthodox Church, with its bright green onion domes quite unmistakable. The modestly-named Church of the Apparition of the Holy Mother of God is another Orthodox building, an even more lavish neo-Byzantine affair that stands majestically across the River Neris from the Old Town. Like many former Soviet areas, Vilnius has its share of ghastly buildings and one particularly choice example is Seimas Palace, home to the Lithuanian Parliament. Built in the 1970s, it has all of the stunningly good taste associated with that decade. The style, if such a term can be applied, is an abysmal attempt at modern classical and surely takes the award for the most hideous public building in Vilnius. It’s worth seeing just for that reason. 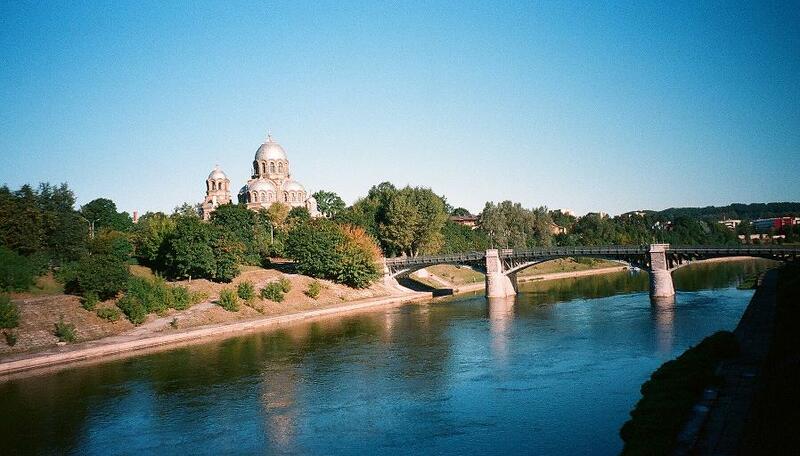 There is plenty to do in Vilnius, but if you’re staying for a few days, a trip outside of the capital is easy enough. 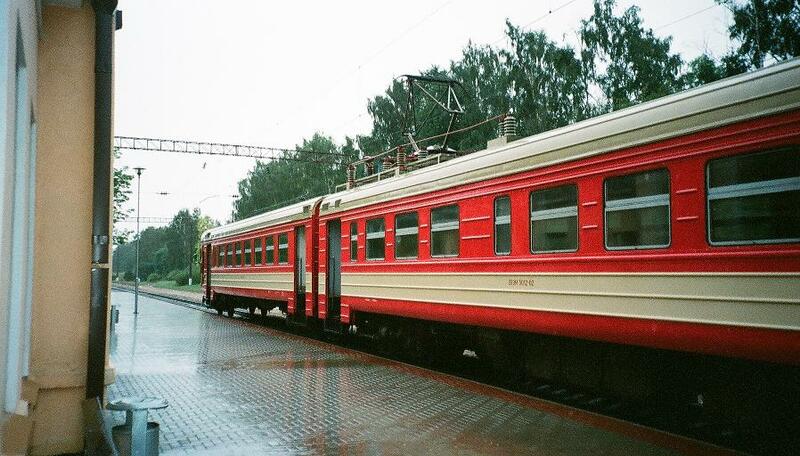 Trains are not expensive and the second city of Kaunas is only a couple of hours away. We took the shorter trip to Trakai, which takes around 40 minutes and costs almost nothing. It’s also fun to experience the journey on a train that may lack comforts, but is incredibly cheap. Climbing up into a carriage from the almost non-existent platforms is also a pleasure that feels like it should be photographed in black and white. Another thing that pleases those of us beset with health and safety obsessives is the way one can nonchalantly saunter across the railway lines. 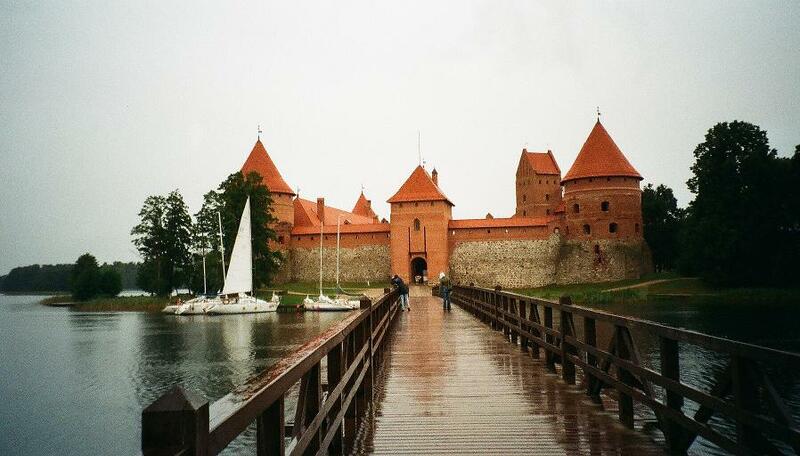 Trakai National Park comprises the area of several lakes and the town of Trakai, Lithuania’s medieval capital. Trakai houses two castles and various museums and is all a bit touristy, but the area is beautiful and there are plenty of places for a peaceful walk and quiet contemplation, not to mention some birdwatching. 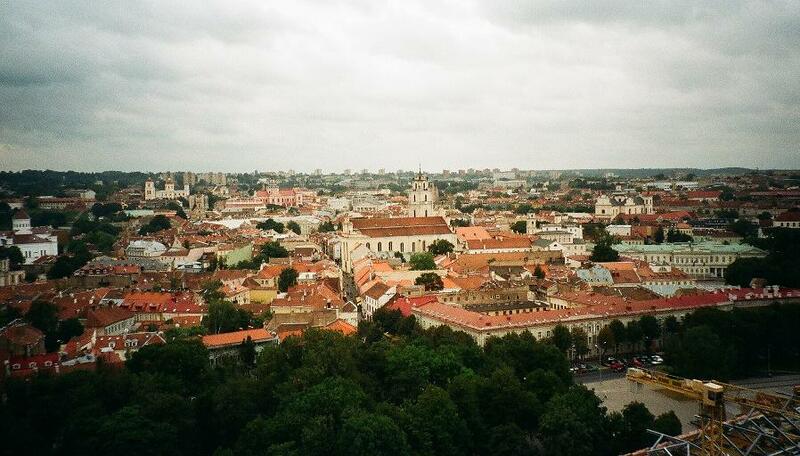 Vilnius makes for an excellent city break of three or fours days. Mid-summer can get a bit hot and winters can be a bit cold, but can make for a very picturesque scene with snow on the ground. It’s not an expensive place to eat and drink, and it should be simple enough to find inexpensive accommodation. The City Gate is a splendid little hotel across from the Gate of Dawn, the only remaining gate to the city of Vilnius. The hotel has only about 10 rooms, but it’s a friendly and welcoming place with a pleasant restaurant. There is a decent pub next door and a brief stroll takes you right into the Old Town. On the other side of the Gate of Dawn, you’ll find amber. You’ll find lots of amber. In fact, you’ll hardly be able to move for amber. Amber, many may be surprised to know, is not always the colour of, erm, amber. Lithuania seems to specialise in white amber. There is, inevitable, something of an overload towards souvenirs, but it’s not all tat and the Amber Museum-Gallery is a good place to see what amber is all about. Just make sure to go to the pub afterwards and not beforehand. This entry was tagged Lithuania, Trakai, Vilnius. Bookmark the permalink.